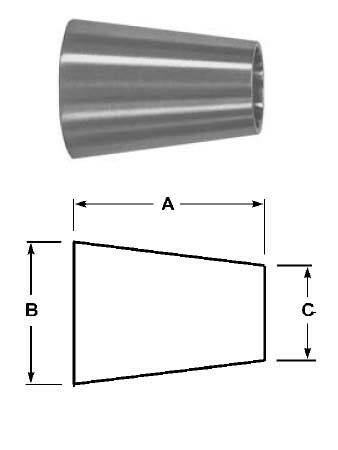 # SANB31W-R250150P - Buttweld Concentric Reducers, Polished - 316L Stainless Steel - 2-1/2 in. x 1-1/2 in. Tube O.D. 2-1/2 in. x 1-1/2 in.